There is no surprise that the internet has increasingly played a more influential role in everyday life. Long ago map applications and GPS (global positioning systems) took the place of atlases. While some of these changes have been less than ideal, several advancements have proved increasingly helpful with trucking positions. One such trend finding more ground within the industry has been related to the Internet of Things. In recent years, it has become steadily more popular to equip trucks and fleets with different products featuring the relatively new concept of IoT, or Internet of Things. This may seem like a complicated notion, but it only boils down to physical, otherwise unconnected, objects being fit with an IP address and user interface for Internet connection and wired use. While some may see it as an intrusion of trust for drivers in the cab, this rising trucking trend provides a full range of benefits that will help to combat inefficiencies and expand improvements across the industry. One of the largest benefits of IoT technology is to see how the vehicle itself is running. For example, one prominent feature is the ability to track fuel efficiency in real time. This alone is becoming more and more important to take into account since the EPA and DOT finalization of greenhouse gas and fuel efficiency standards for long haul trucks last August. According to the EPA Heavy-duty trucks are the second largest class of vehicles on the road and collectively make up the biggest sector of vehicles in terms of emissions and energy use. Currently, these vehicles account for approximately 20 percent of GHG emissions and oil use in the U.S. transportation sector. Globally, GHG emissions from heavy-duty vehicles are growing rapidly and are expected to surpass emissions from passenger vehicles by 2030. Many high-profile trucking companies have noted that the implementation of these new rules are not only beneficial to the environment, but also to the companies, as they see it as an opportunity to reduce fuel costs. While the full implementation of these standards will take place over time, early steps of progress will guarantee individual drivers or fleet do not fall behind during the process and will also have the opportunity to test different fuel efficiency IoT technology. One example of IoT technology quickly making itself known throughout the industry is with the implementation of the already underway Electronic Logging Device (ELD) rule. While the rule first became effective February 16, 2016, full compliance will occur in a series of phases lasting until December 19, 2019. According to the Federal Motor Carrier Safety Administration the ELD rule is intended to help create a safer work environment for drivers. The FMCSA believes the implementation of the ELD with make work easier and faster to accurately track. Some believe it will make trucking easier to manage by way of sharing records of duty status data. This simplicity is done by connecting with the engine to record hours of service in an easier way, meaning less paperwork for the driver. While most fleets will have to comply with this rule by the 2019 deadline, there are a few exceptions including positions that allow operators to use paper logs eight or fewer days per 30-day period, driveaway and/or towaway drivers, and those driving vehicles with a model year before 2000. Though phase two, the “Phased-In Compliance Phase”, does not begin until December 18 of this year, it is important for those who are subject to the rule to prepare for the switch over. This is also a good time to weigh the benefits of different IoT technologies suiting both the needs of the fleet or driver as well as the regulations of the ELD in compliance with the rule. Again, with early compliance of the regulations, transitioning to the second and third phase will be much easier. Considering that not any two jobs are the same, different drivers, fleets, and companies, will require different levels of technology within their ELD. Distance driving and long stretches of driving can often be hard on devices, so it is suggested that IoT ELD devices be durable and withstanding of different weather conditions. Most importantly, the selected ELD must be on the FMCSA's list of 23 registered ELDs. While the environmental impact of trucks may not be the highest concern for many drivers, IoT is also increasing the connectivity to the driver and their fleet for a boosted delivery. Not only will this help to allow for a driver to complete their route in an ideal time, it will also help drivers complete deliveries more safely. For example, if there is an accident on the road ahead, the driver can be notified in real time, along with the possibility of an alternate route. Using this trending technology can and will produce more visible results from dispatch to delivery if properly utilized. With higher communication rates throughout the line, all parties will be able to sustain higher accuracy. 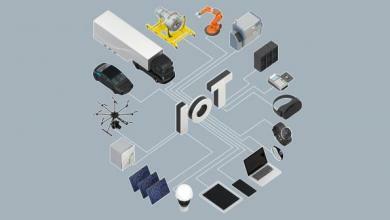 IoT technology can also increase the performance of the truck on several mechanical levels. One way this works is for connected trucks to have built in sensors that communicates with software to alert drivers and fleets of mechanical issues. This, in turn, notifies them immediately of what the problem is, reducing time spent driving without knowledge of the issue, which also decreases the time spent fixing any problems and preventing breakdowns. Many of the benefits of IoT technology described seem to mostly benefit either the truck or the fleet, but it also provides several uses for the driver alone. As mentioned above, IoT can help locate and reroute accidents and backed up traffic, but it goes beyond just that. Some conveniences offered are the range from the locations of gas stations with real time pricing to rest stops and restaurants. Whether drivers and fleets agree with implementing IoT technologies or not, there is no denying that some sort of implementation is inevitable to the future of commercial trucking. According to the International Data Corporation (IDC), a premier source of information technology, telecommunications, and consumer technology markets, transportation markets are the second highest investors of IoT, reaching $78 billion in 2016 alone. While this is still very much behind leader manufacturing with $178 billion, it still accounts for a huge portion of the $737 billion market. These are huge numbers in general, but in the five years between 2015 and 2020, there is a forecasted 15.6 percent compound annual growth rate – leading to $1.29 trillion by 2020. Some may think that the design of such IoT technologies don't have the individual driver in mind because the two fields are so vastly different, however, in the same article Darrow explains that part of the design process for this specific product included putting experts into the trucks with drivers so they were able to gain the perspective of the step-by-step process of a complete route. 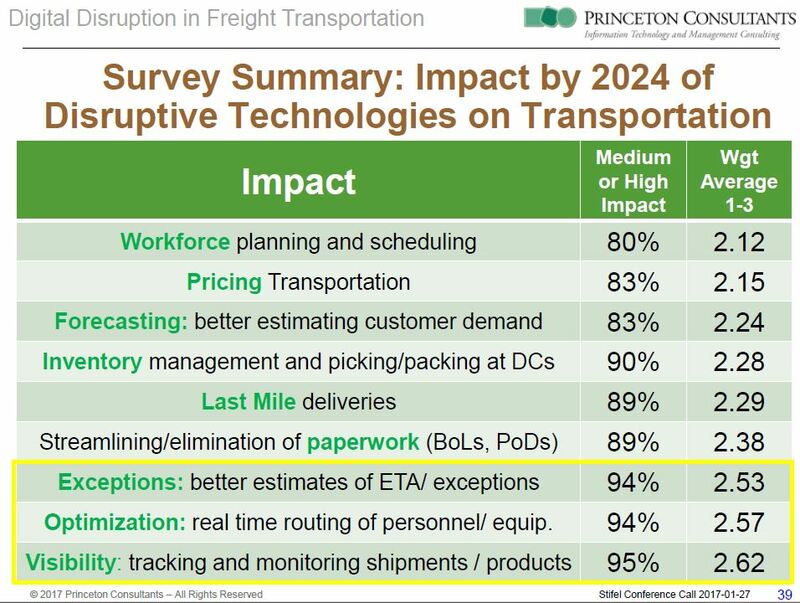 Since 2015, Princeton has conducted a survey on the Digital Disruption in Freight Transportation. Though still in progress, 84 percent of those who have responded said IoT will have a moderate to large impact on the industry by 2024. Understandably, much fear of IoT comes from last October's first commercial delivery conducted by an autonomous vehicle. When a tractor-trailer full of beer drove itself down Colorado's I-25 in October with no operator behind the wheel. Uber Technologies, Inc. and Anheuser-Busch teamed for the delivery for the first commercial delivery made by a self-driving commercial truck. What most do not consider about the autonomous trip, however, is the fact that people on the team carefully made sure all conditions were right in order to conduct the experiment was perfectly conducted. This includes scoping out the best weather conditions and performing the act during a low traffic time. Though impressive, a physical driver was still needed, as the drive was limited to highway only drive time. Needless to say, this invasive form of IoT has a long way to come before it could be implemented, if it ever does. 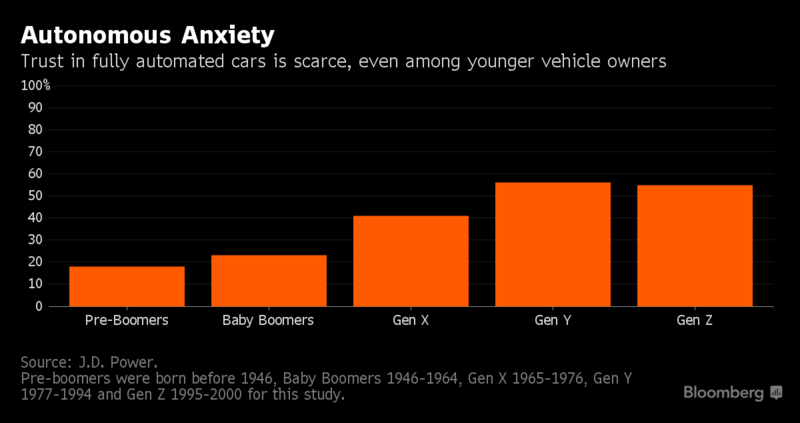 It has been proven very few people have trust in autonomous vehicles. With technology growing at a faster rate than ever, it is inevitable to stay within the status quo of truck driving jobs. While there is certainly little worry of driverless trucks taking to the roads any time soon, between the influx of new government regulations being implemented and the natural growth of technologies, the trend of IoT is not going to go away. Much of the incoming IoT is unavoidable, but several more aspects will prove to be beneficial to fleets and drivers. Whether it be with only the new EDLs or more interactive IoT devices and technologies, the future of trucker jobs is here.